All photos belong to the photographer who took them, as credited in the caption. If any of you have read my tweets recently, you will know I have developed yet another obsession and I would like to share it with The Rock Riff’s followers. 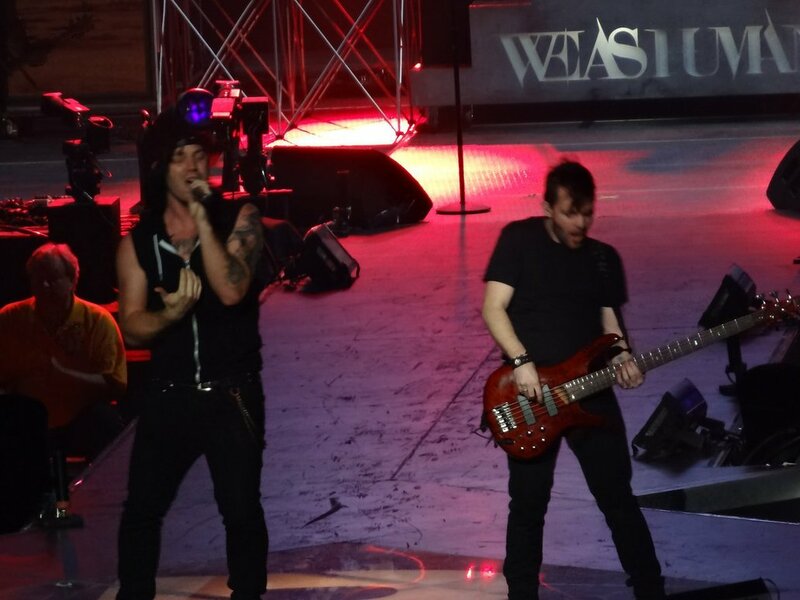 We As Human is a Christian rock band from Sandpoint, Idaho and they formed in 2006. They have been signed to Atlantic Records record label. They moved to Nashville, Tennessee in September 2011 and still live there. The band had an interesting story to tell starting with the band who discovered them, Skillet. Skillet was playing an arena show and their road manager was working at the show. Their road manager handed the band an EP that We As Human had produced. 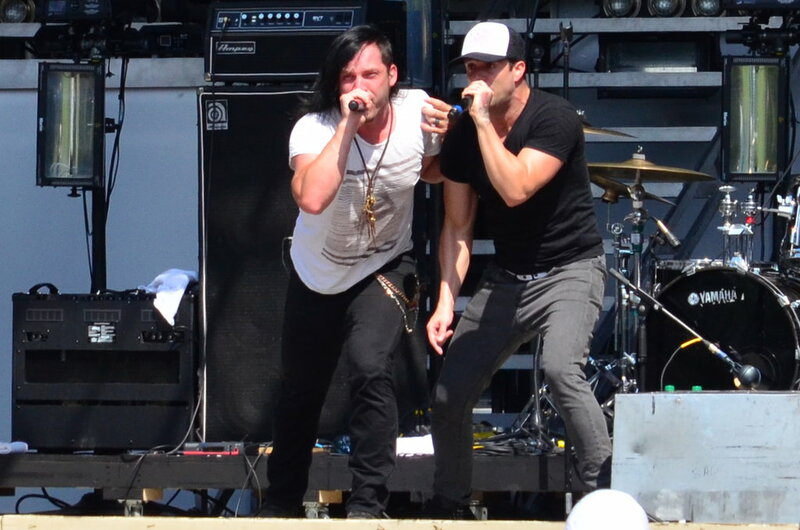 Front man for Skillet, John Cooper listened to it that night and he loved it saying that it punched him in the face. He called his band manager, Zach Kelm and he said to him, ‘I think you should work with this band. '” From there on an introduction to Atlantic Records wasn’t far off. Now, with their self-titled debut-album being released through Atlantic Records via Hear It Loud, a partnership helmed by John Cooper, Zach Kelm and attorney Todd Rubenstein. We As Human arrives at a place where their future looks exciting and promising. With We As Human’s thrilling collection of songs together with rock-renowned record producer Howard Benson it can only serve to amplify the band’s already massive, juggernaut sound. For Justin Cordle it was absolutely thrilling that Howard Benson produced P.O.D.ʼs “Satellite,” an album that Cordle played countless times on its release. He held that record in high regard and he knew their record would come out better because of Howard Benson. We As Human’s debut album stays true to the core of their sound and adds an unrivaled intensity and energy to each song. In my opinion this album is by far one of the best debut albums by a rock band that I have heard in a very long time. Most bands take a few years to really find their stride and their signature sound. 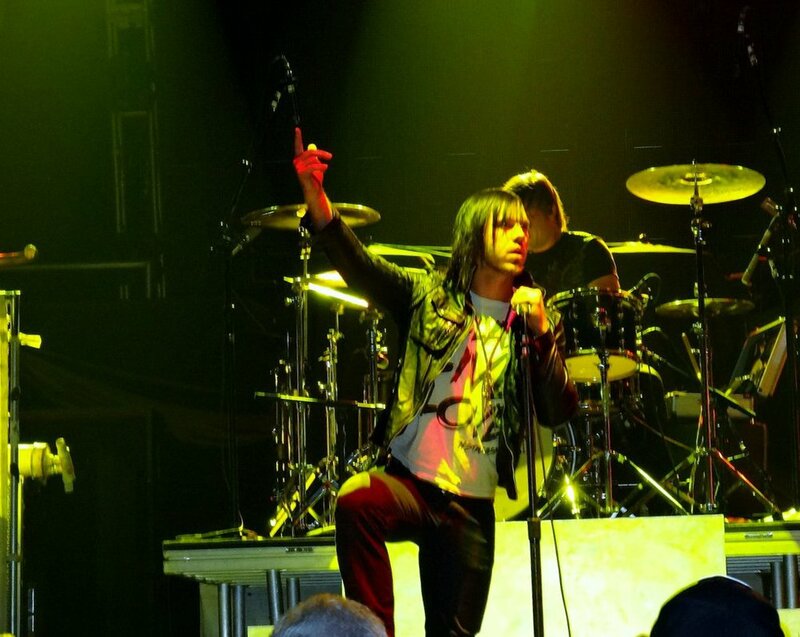 Some familiar faces appear on the record, such as John Cooper from Skillet on the track “Zombie” and Lacy Sturm (previously from Flyleaf) on ” Take The Bullets Away”. The inspiration for the record was generated by the band’s own lives, experiences and stories. 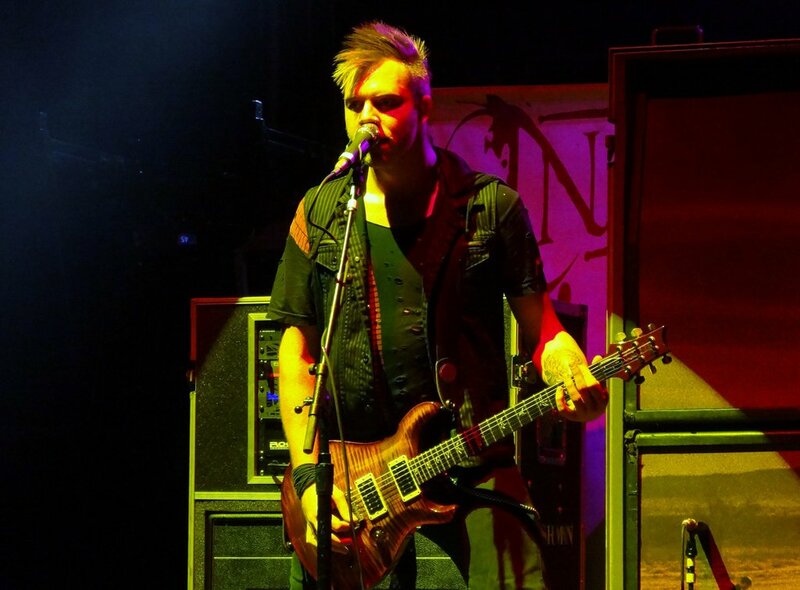 “Sever” is an extremely personal song for lead singer Justin Cordle. His nephew was fighting cancer at the tender age of 3 he passed away. Justin wrote the song after his passing. We As Human made a video featuring a tribute to Justin Cordle’s nephew and played an acoustic version of “Sever”. During this performance Justin’s passion for music and dedication to his religion became clear to me. His voice is extremely versatile, it can go from silky smooth to gruff in an instant. “Strike Back” is the first single from their debut album and has a hard-hitting chorus that grabs you by the collar and doesn’t let go. That is exactly the band’s intention with their first song. It is their statement and declaration of courage. For the band the ultimate pay-off for their hard work is not money or fame, but an intimate relationship with their fans. I discovered the band when I watched the Cover-Tune Grab Bag video on YouTube which is a Roadshow tradition and different bands come together to cover a popular song. Justin Cordle started to sing the first few lines of Katy Perry’s Roar and the manner in which he delivered those first few lines got me interested. So I watched some of their other videos on YouTube and eventually listened to their track “Zombie” on iTunes. I decided there and then that I have to own the entire album. I never regretted that decision. There is enough content on this album to satisfy any rock music lover. From the heavier tracks like “Strike Back”, “Dead Man”, “Take The Bullets Away”, “Zombie” to the more tender “Fall Apart” followed by the more mainstream rock songs “Bring To Life”, “Let Me Drown” and “Sever”. I have never been so infatuated by a band that I have just started listening to. 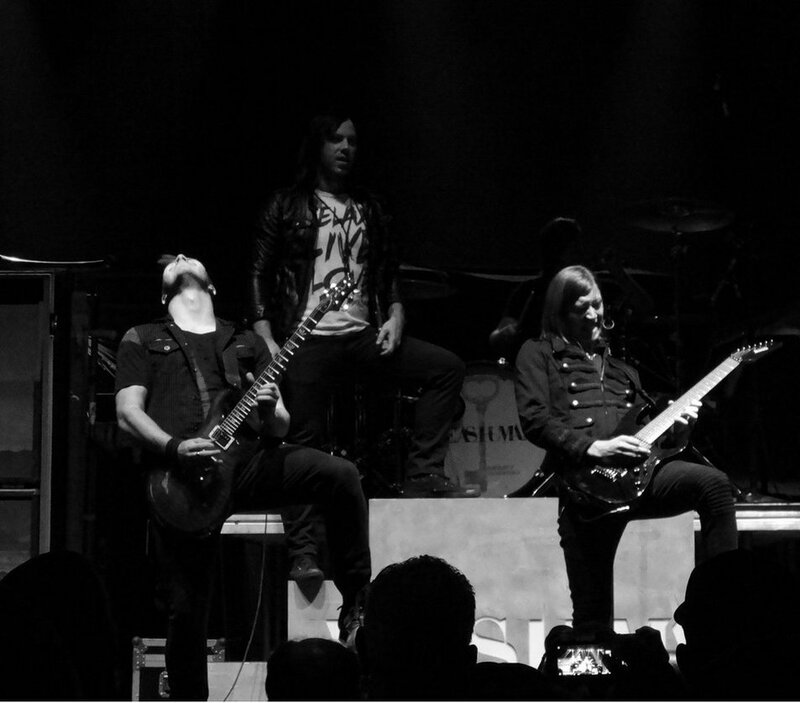 Justin Cordle is very proud of their live shows and that they work hard at perfecting their art, while still delivering intense, energetic performances. We As Human’s thought-provoking lyrics coupled with their unbridled energy and enthusiasm combines to create an explosive package. The band has incredible potential to go as far in the music industry as they are willing to venture.